Blocks Magazine issue 4, 2 different covers ? 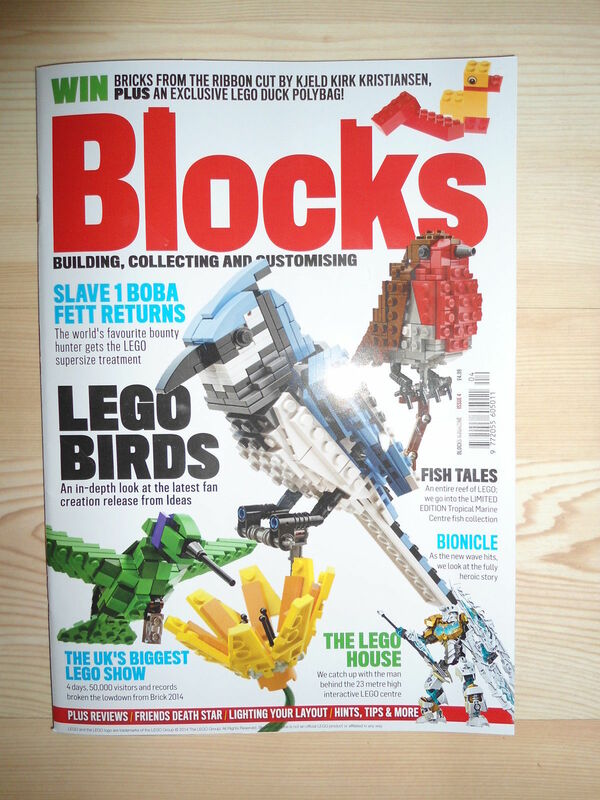 Is it me or has the latest issue of Blocks, (issue 4), got 2 different front covers ?. 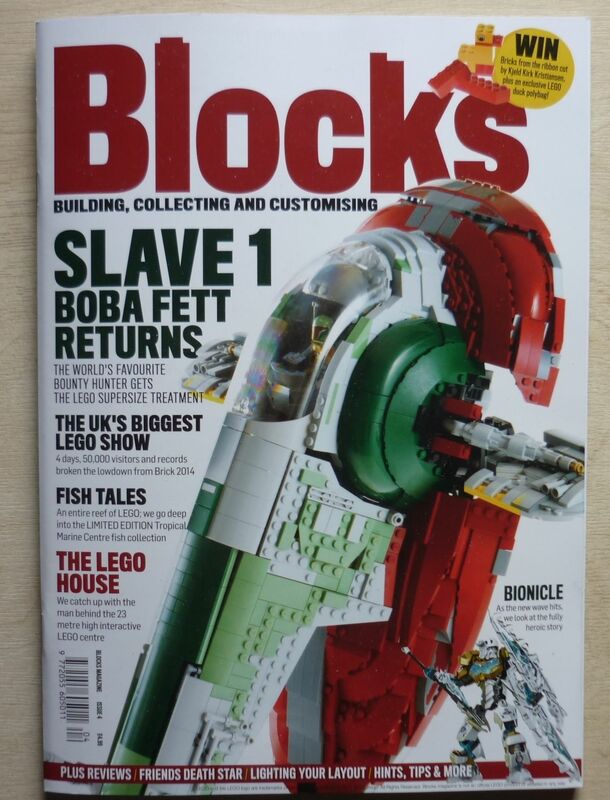 I have just seen a version listed on ebay with the #21301 Birds set on the front cover instead of #75060 UCS Slave 1. The item number is 251816485773, I put a little bid on it just to keep a eye on it. I got the Slave 1 cover. Didn't look through the others to see if there were others. The Ideas Birds cover is exclusive to Tesco. The content inside is identical. Glad to see the BIONICLE article I wrote appears on the cover of both issues! I still need to get a copy of this latest issue... unfortunately, ordering them online is rather expensive in the U.S., so I'm going to see if I can get a copy (probably even a few extra copies for family and friends) from my local Barnes & Noble. ^ Don't you get a freebie copy considering you supplied an article? Being both a fan of the magazine and a collector, that is NOT something I wanted to hear. I thought I'd bought the only LE/special release of the magazine, being the pilot issue. Not good. Mine has birds on the cover and came from WHSmith. ^ Well in theory the Birds cover is exclusive to Tesco. Non of the supermarkets of any size i have been to around here have sold blocks. Have to go into town to get it. Never seen Blocks sold in Tesco. Only WHSmith. 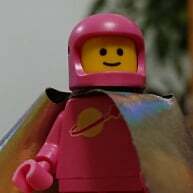 Would like to hear from anyone who has found/bought Blocks in Tesco and what grade of store it was, extra, local etc as much as the location, please. I got this issue (birds cover) in Sainsburys on Saturday. My problem with looking for it in WHSmiths is that they have so many different magazines and Blocks can be located in so many different sections that I take ages searching for it and can still be uncertain whether I've missed it or it is out of stock. Is there a definitive list of stores that do sell it? I thought only WH Smiths did, is it just Tesco, Sainsburys, and WH Smiths or do ASDA, Morrisons and like sell it too? @Huw - do you know if Blocks supply a suggestion to retailers as to where to shelve it? I remember that a lot of magazines used to supply retailers with diagrams showing where their publications would be best shelved (often even mentioning competitors which I always found odd) but don't recall if any of the smaller published did so too. This is a memory of stuff from around 10 years ago, helping out at my grandparents family business so it might not happen any more at all. None of the two large Sainsburys in my area stock it. If I'm lucky I can find it in Tesco Extra. Blocks mag in Tesco Extra Coulby Newham,Middlesbrough. Tesco in Chorley, Lancashire has it. Granted, it's tucked away on an aisle end amongst other specialised interest magazines such as those for train enthusiasts, craftworks, knitting, horse-riding etc. but it's there. Usually have about 8 or 9 copies. Mine was the Lego Ideas Birds cover. The Tesco is a huge, full on version with an upper and lower floor, unlike the nearby Buckshaw Village store or the Leyland store. I can't say that I've seen the magazine in those stores but it may be. Granted, it's tucked away on an aisle end amongst other specialised interest magazines such as those for train enthusiasts, craftworks, knitting, horse-riding etc. but it's there. Isn't that where you'd expect to find it? Just finished reading the Peter Brookdale interview. Kinda good, kinda bad. He has built 3 excellent models and each set of questions were exactly the same. The questions should be even slightly tailered to the model. Just asking the same question regardless of the model is dumb.